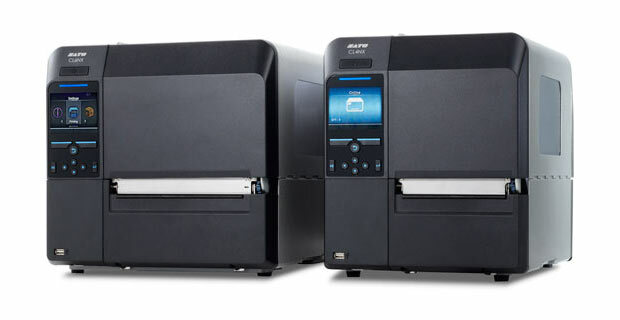 Sato Thermal-Transfer Label Printers including the CLNX4 and CLNX6 Series on sale now. Sato's new CLNX Series thermal-transfer label printers offer a wide array of standard features that set them apart from the competition. These printers feature a durable industrial design that can stand up to the rigors of manufacturing environments. They are easy to set-up and the user-friendly interface makes it simple to load and print your labels. Labels print quickly and accurately thanks to the high-speed processing and throughput. They support a a variety of media types, have multiple on-board interfaces, and all this comes in a small space-saving package. The affordable 203 dpi CL408NX printer has a full color LCD interactive screen and can print labels up to 4.1" wide. The affordable 305 dpi CL412NX printer has a full color LCD interactive screen and can print labels up to 4.1" wide. The affordable 609 dpi CL424NX printer has a full color LCD interactive screen and can print labels up to 4.1" wide. The affordable 203 dpi CL608NX printer has a full color LCD interactive screen and can print labels up to 6.5" wide. The affordable 305 dpi CL612NX printer has a full color LCD interactive screen and can print labels up to 6.5" wide. Add functionality to your Sato CLNX printers with these easy-to-use add-on accessory kits.